How applying eyeliner can lead to vision problems? It is said that eyeliner application on the inner eyelid can contaminate the eye causing vision related problems.Eyeliner ingredients commonly include waxes, oils, silicones and natural gums to help eyeliner stick to eyelids and last for prolonged periods. It has to adhere through blinking, sweating and the secretion of natural oils. Resulting complications include irritation and redness, introduction of harmful bacteria from the eyeliner, and in some cases, eye infections or blur red vision.people who wear contact lenses were most likely to notice some problems, adding that pencil eyeliner was thoroughly sharpened, it gives a fresh tip which can help prevent infection. People who apply eyeliner on the inner eyelid run the risk of contaminating the eye and causing vision trouble.Eyeliner ingredients commonly include waxes, oils, silicones and natural gums to help eyeliner stick to eyelids and last for prolonged periods. It has to adhere through blinking, sweating and the secretion of natural oils.Makeup that enters the tear film may cause discomfort for those with sensitive or dry eyes. But the eyeliner waxes and oils can also adhere to contact lenses and build up if used for more than one day. Resulting complications include irritation and redness, introduction of harmful bacteria from the eyeliner, and in some cases, eye infections or blurred vision. If you thoroughly sharpen your pencil eyeliner before each application and get rid of the stuff that's stuck to the end, you'll have a fresh tip which can help prevent infection. Using eyeliner on your inner lash line may put you at risk for infection and vision problem. Make up migration happened quicker and was greater when eyeliner was put on the inner lid. When the liner was applied to the inner lash line, 15-30 percent more particles entered the tear film-the thin protective coating on the eye-than when liner was applied outside the lash line. The problems with liner entering the tear film ranges from minor discomfort for those with dry or sensitive eyes to more serious infections and blurred vision. When using eyeliner on your waterline, look for a cream pencil as opposed to a kohl. Kohl contains heavy metals like lead that could be harmful to the health of your eye. If Harry Potter is so magical, why does he still wear glasses? Why not fix his eyesight by himself? Blurry vision after working long hours. Blurry vision when working long hours. Can Episcleritis be caused by stress or anxiety? What are popular styles of prescription reading glasses? 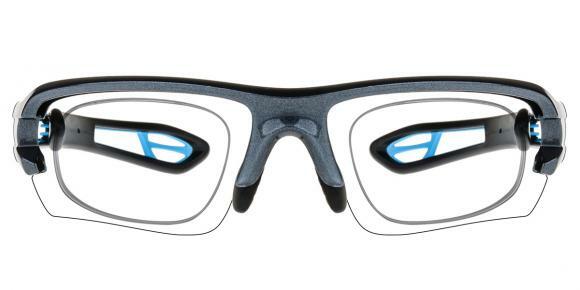 When to adjust the nose pads on my metal frame glasses? Can garlic Improve your Vision? 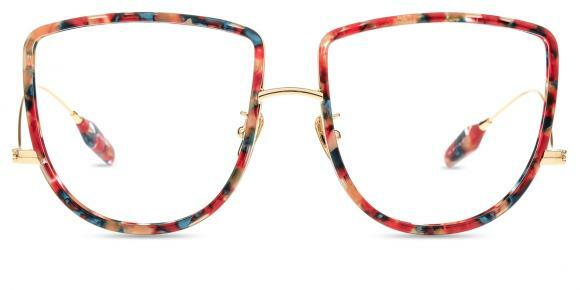 Why big nerd glasses are so cool this season? What can I do to adjust my eyeglass frames squeezing my head? How can I align eyeglass frames? How to make my Child Wear Prescription Glasses? How to clean my prescription photochromic sunglasses? Does pearle vision take vsp? When should I adjust the Earpiece on Prescription Eyeglasses?